The Metrobots are a robotics team that competes in an organization known as FIRST. Each season, FIRST gives out a challenge that its robotics team all over the world try to complete. Each robot has to complete the task and has to fit the requirements but not every team is the same as the other. The PAST Innovation Lab is proud to be the Hosting Sponsor of the Metrobots. 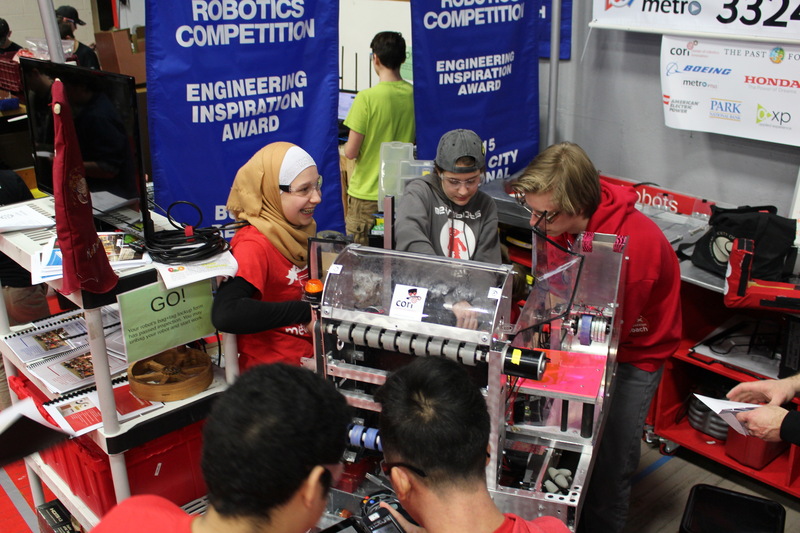 In addition to providing a physical home to Metrobots, PAST serves as the Metrobots’ fiscal agent, and is actively providing mentors, equipment, resources. In 2017, the Metrobots won the Engineering Inspiration Award at the St. Louis World Championship! Way to go Metrobots! Please visit Metrobots’ website for more information.